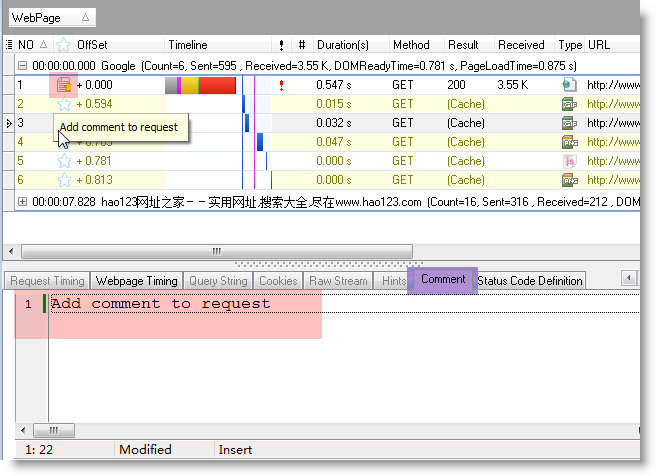 Now, HTTP Analyzer fully supports both 32-bit and 64-bit windows 8 applications. 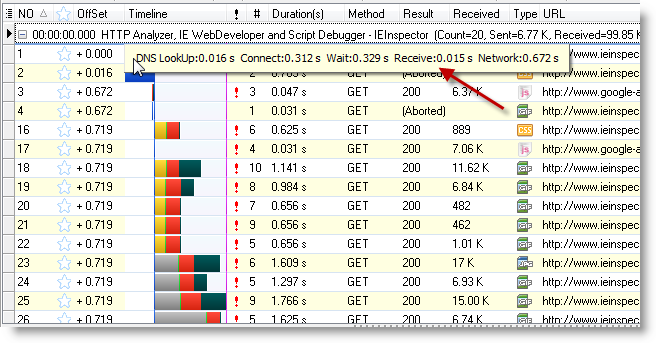 If you run Http Analyzer on your 64-bit windows, the HTTP traffic from both 32-bit and 64-bit applications will be shown in a single HTTP Analyzer window. 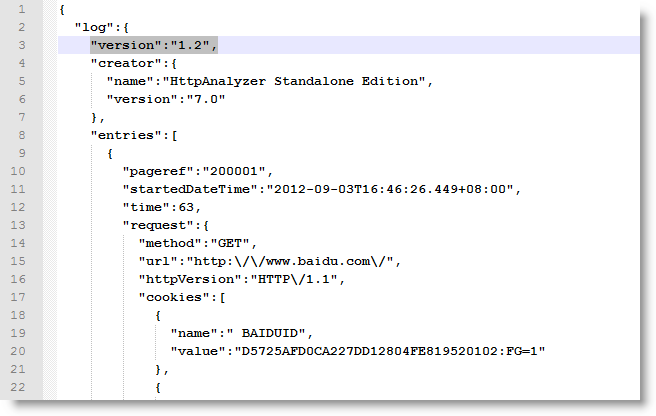 Http Analyzer V7 has done a lot of work to enhance the stability of the core hooking library. You can add and view comments to the recorded requests. The new Connection ID value column shows the TCP connection which request used. And the automation library has been updated to support Connection ID. 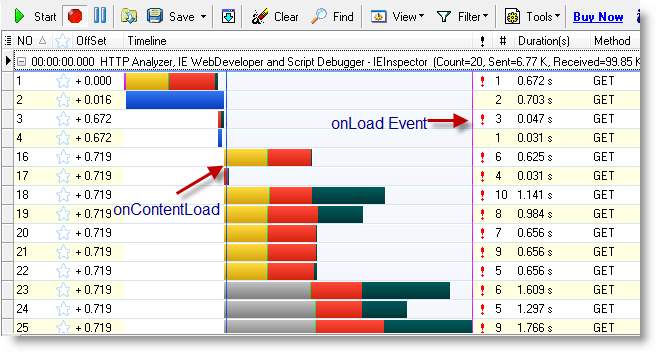 The Page level time charts now include lines to indicate when the onContentLoad and onLoad event raises. And, the tooltip of the timing chart cell will show the more detailed timing information. About new features in version 6.x please refer to "New in Version 6.x".